It is a requirement that all home alarms be registered with the City of Dothan. The police department handles the task of registering home alarms. There is a one-time $25 fee to register the alarm. This registration does not expire as long as you live at the residence. Please review the municipal code concerning alarms. You can also download a home alarm application form, print it out and send it in to register your alarm. Isn’t it the responsibility of the alarm installer to make sure all necessary permits are acquired before installation? It is the responsibility of the home/business owner to ensure all permits are obtained. Do I have to have a permit if I install the alarm myself? Yes. Every alarm system whether or not it is monitored in the City of Dothan is required to have a permit. I’ve had my alarm for 20 years. Why wasn’t I told I need a permit before? Some alarm companies work much more closely with the police department than others. 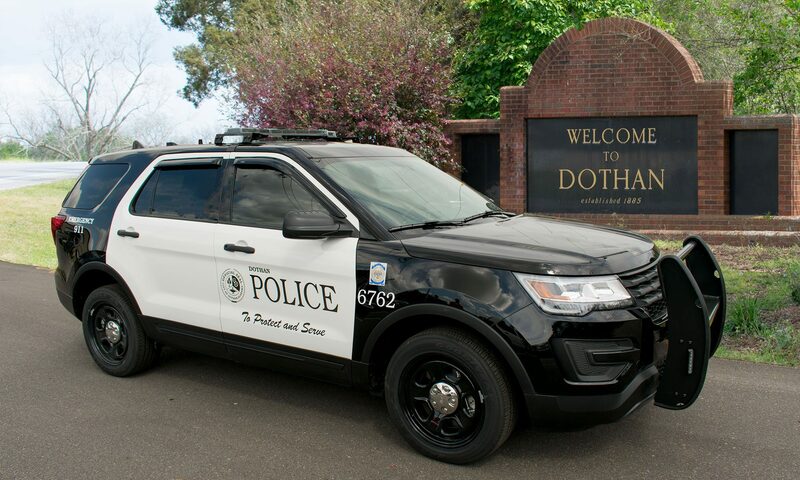 Alarm companies who have had business in Dothan for a while should have informed you of the local requirements; however, many alarm companies have customers in numerous areas, and it can be difficult to keep track of every ordinance in every area. The bottom line is that all alarm users have a responsibility to make sure that their system is legal – similar to how the owner of a car must make sure that the registration and insurance forms are filled out and submitted on time. If the alarm does its job and scares off a prowler who’s trying to break in, why should I be billed? How is that a false alarm? If someone tries to break in, there will typically be some evidence of tampering: pry marks around a door, a torn or removed screen, a broken window, etc. If there isn’t any such evidence, police have to assume that the cause of the alarm is unknown…which means it’s a false alarm. Does it matter which alarm company I choose? Selecting an alarm company should be like any other big decision you make. Don’t be pressured into “limited time only” deals unless you know that the product – and the service – is exactly what you’re looking for. Many alarm companies try to get your business by claiming that their “special offer” cannot be beaten, but there are a LOT of alarm companies out there. Some use better equipment, some provide more personal service, and unfortunately, some seem to make a sale and disappear overnight. Feel free to shop around, and make sure that the alarm system you are buying is going to meet your needs. What’s really the big deal about a few alarms going off at my house each year? That’s what the police are for after all! Having false alarms is like having a car that starts less than 10% of the time. Less than 10% of all alarm calls are related to legitimate criminal activity. Consider this: if officers are out checking an alarm that was set off by someone’s cat, they can’t be across town responding to a traffic accident or a domestic violence call. Where do you want the police to be when you have a legitimate emergency?